Thank you for taking the time to see what our dogs are all about. Please feel free to browse our website and become familiar with not only our dogs, but our life long companions and friends! We are dedicated to producing top quality German Shepherds! If we have a litter that is available, you will find information on our Puppies/Upcoming Litters page. 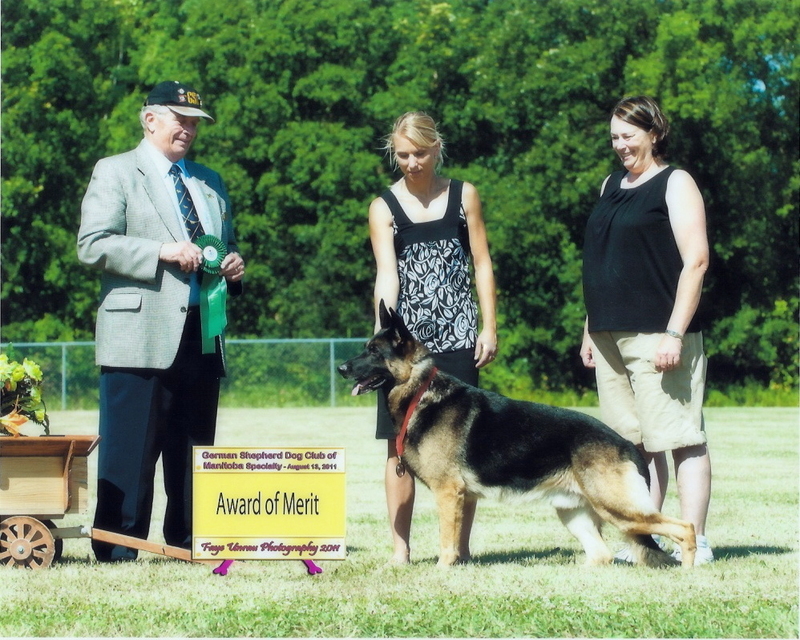 ELHART K-9′S is a small kennel developed from a love of German Shepherds going back into the late 1990’s and have owned the breed for almost 20 years. We do limited breedings and strive for quality companions in health and temperament. I grew up with Airedale Terriers and cats. Into my teens, I spent countless hours working with horses and was known for my love of just about any animal! My passion for German Shepherds started when I met 3 German Shepherds that left a lasting impression on me. I was hooked. The loyalty and obedient nature of this breed was astounding, I wanted one of my own! Starting out having the German Shepherd as solely a companion animal, I realized this was a breed that would be in our family for many more years. 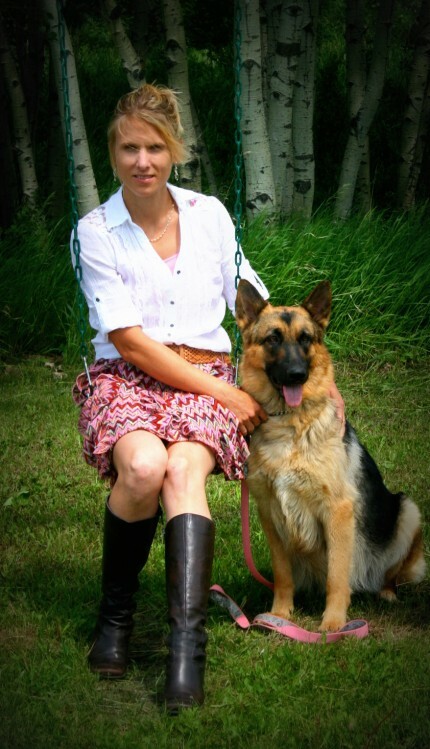 Wanting to breed quality dogs and taking all the right steps to do so, I entered our 2nd female in the Canadian show ring November 2010 and after only a handful of entries, she picked up 3 majors and several reserve winners. Winter 2014 Crocus Obedience & Kennel Club approached me in regards to helping out with teaching classes at their club and I was honored and humbled by this offer! I was extremely excited to be involved in helping teach others; even after all the dogs that I have trained and worked with, I am always striving to learn more as well as different techniques to use in helping our K-9’s. While showing my own German Shepherds, I have frequently been asked to grab a leash and a dog and head into the ring to help out and truly love being there regardless if it is my dog or someone else’s! As the years have progressed I have moved into Search and Rescue as well as Schutzhund My dogs are embracing the training with great enthusiasm and I am loving watching how they adapt to the training and offer behaviours and training back to me in order to succeed. Truly what the breed was meant to be as working dogs! German Shepherds are a breed that are up for anything, at any time! Midnight walks, hide and go seek, hiking, biking, road trips, camping, roller blading, ball, swimming, and the list goes on! They are incredibly versatile and having 3 kids, our shepherds have been respectful with them from infancy, toddler years, and now into preteens! This breed thrives on being active and will show their best side when they are exercised and included in family activities in a companion home or as a service dog in a working environment.